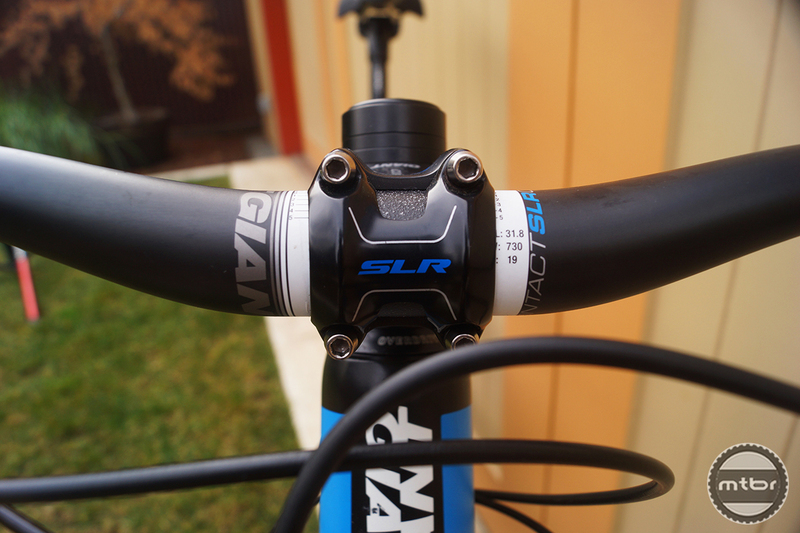 Despite being the most technically advanced bike manufacturer in the world, Giant doesn’t ever seem to get the credit and respect they deserve. And it’s not just the too-cool-for-school kids who look past the Big G, we in the media are guilty too. While it’s easy to let the product daring, shiny paint schemes and DIY admirability of the more boutique brands overrule our sense of ration, the 2014 Giant Trance Advanced 27.5 0 serves as a reminder why bigger sometimes is better–or at least worth a serious look-see. 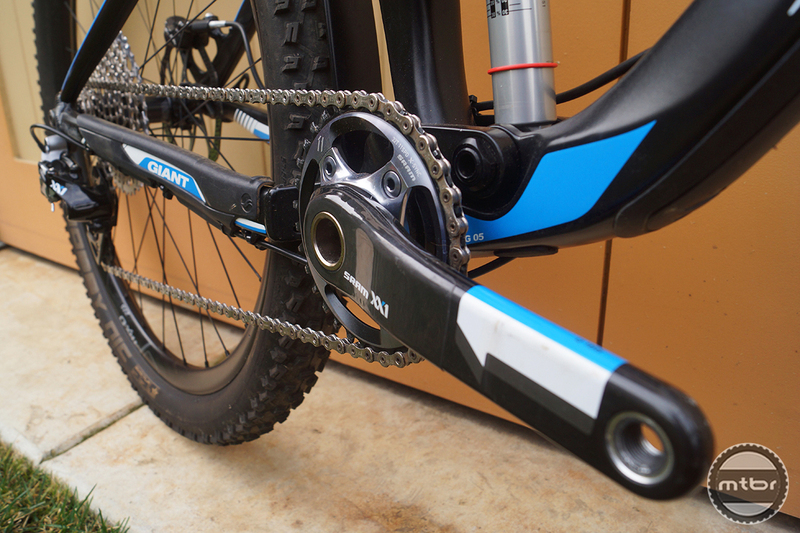 And in the case of the $7725 Trance Advanced 27.5 0 better means lighter–much lighter. 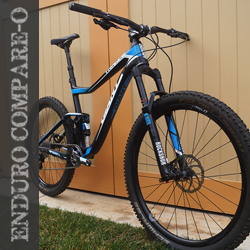 At 24.16 pounds without pedals, this bike is nearly seven pounds less than some of the other contenders in our field of enduro steeds. 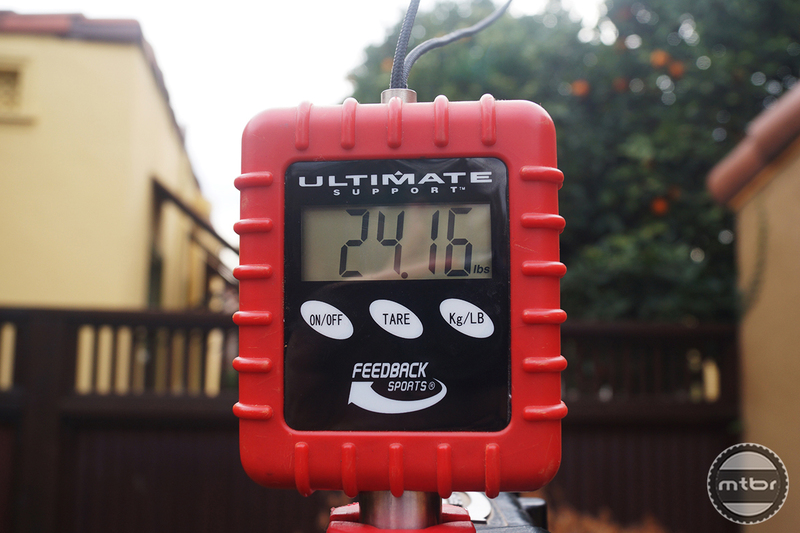 We’re looking forward to putting it through the paces and seeing how it compares. It’s a foregone conclusion that it should go uphill quick. How it handles the rough stuff, well, that’s the $7725 question. 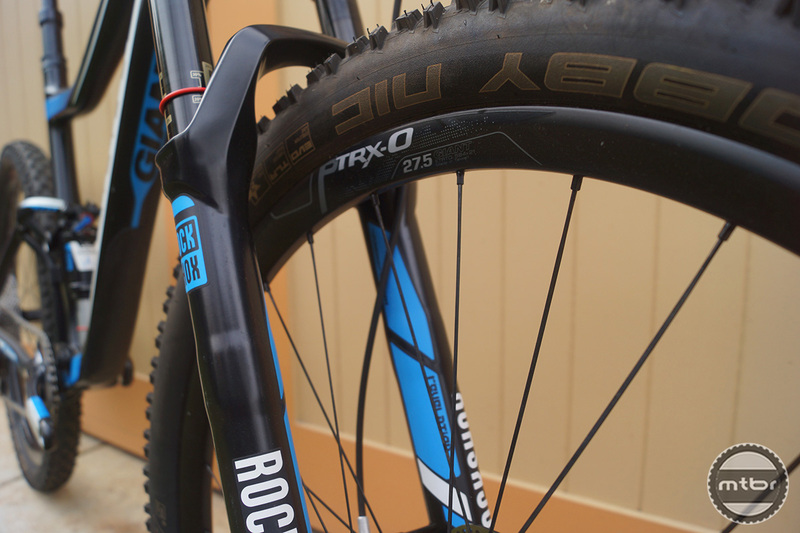 The Trance Advance 27.5 0 manages 140mm of rear travel using Giant’s proven Maestro linkage system which is tempered by RockShox’ underrated Monarch RT3 three-setting shock. 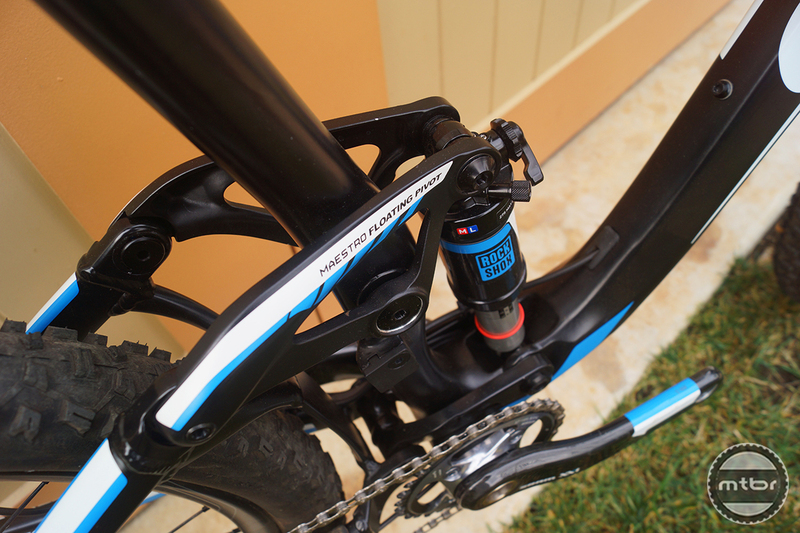 Up front the 120-140mm adjustable RockShox Revelation 32mm stanchion fork gives us reason to pause. We’ve ridden and liked the Revelation on other bikes but wonder if it might be a little under-gunned for our more aggressive test track. Being a top-of-the-line rig, the Trance Advanced 27.5 0 sports Giant’s premium 27.5-inch P-TRX0 Composite wheelset, which feature dependable DT-Swiss internals. Handling the traction–or potentially not–a pair of Schwalbe Nobby Nic Evo tubeless-ready 2.25-inch wide tires look a little anemic for our taste, but we’ll reserve judgement. 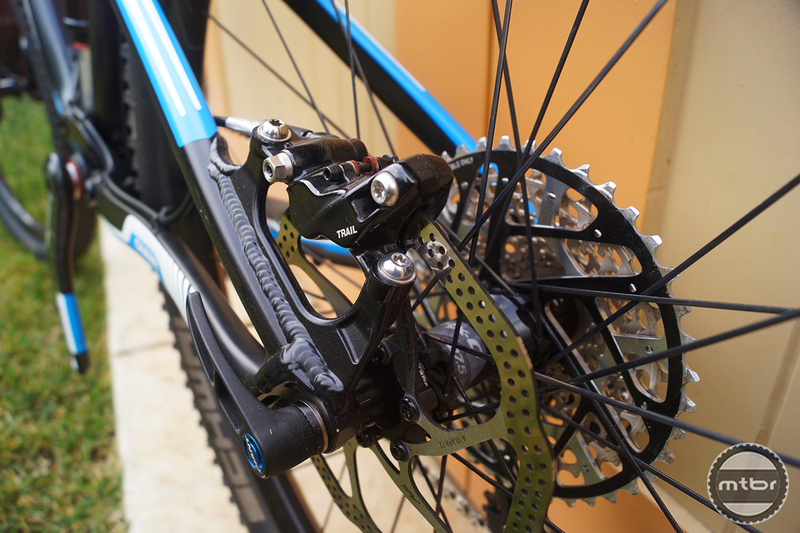 One area where we have full-confidence is the drivetrain–SRAM’s uber amazing XX1 single-ring, 11-speed set-up handles the duty here, in a custom color-matched Giant blue hue no less. Keeping it all in the family are a pair of Avid XO Trail Carbon four-piston brakes with a 170mm disc up front and 160 in the rear. 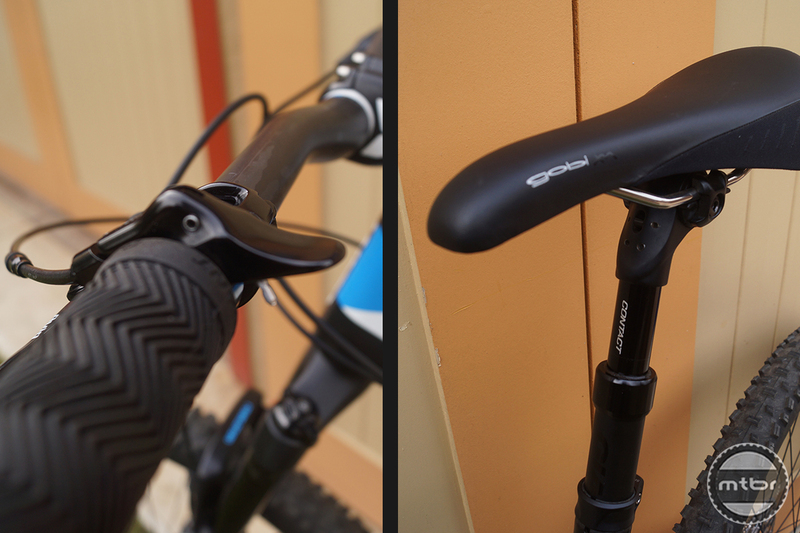 Giant’s own Contact-R adjustable seatpost compliments the house-branded Contact SLR carbon handlebars and stem, while Fi’zi:k’s comfy Gobi XM saddle rounds out the cockpit spec. The Trance Advance’s clean lines look even sharper thanks to internal cables which are actually easy to route and change thanks to clever internal guides and snap-in frame caps. For more information visit www.giant-bicycles.com. 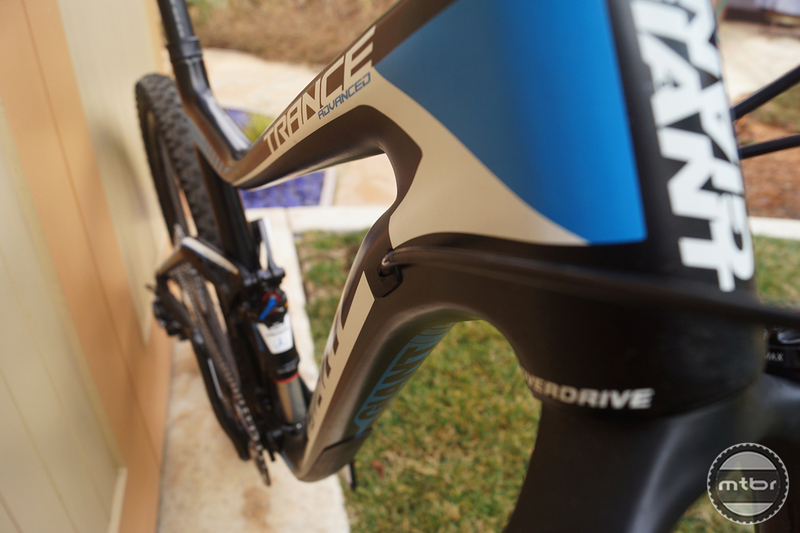 Read our Bottom Line Evaluation of the Giant Trance Advanced 27.5 0 here. 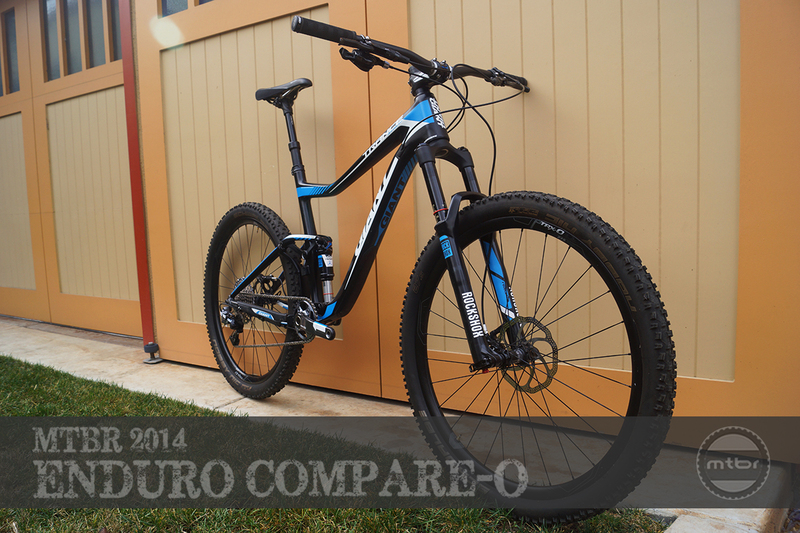 This story is part of Mtbr’s 2014 Enduro Compare-O. Check out our intro story here for all the ground rules and goings ons. A 12.5″ bb height? That must be a typo.